Parry Shen is known to many audiences from his role in the film, “Better Luck Tomorrow.” It would be his role in that film that would shoot him to fame. 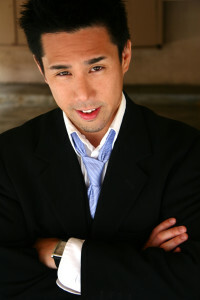 However, it’s Shen’s portrayal of the cocky, smarmy doctor, Brad Cooper, on ABC Daytime’s “General Hospital,” that has proven his popularity with television audiences. Aside from acting, Shen also directed his first film entitled, “Unidentified,” which is now available by Dark Sky Films. We also talked with Parry more about his time speaking at over 100 universities across the country to help others understand about being an Asian American in this industry. For more information about “Unidentified,” visit http://www.unidentified-movie.com, and you can find out how to purchase the film.